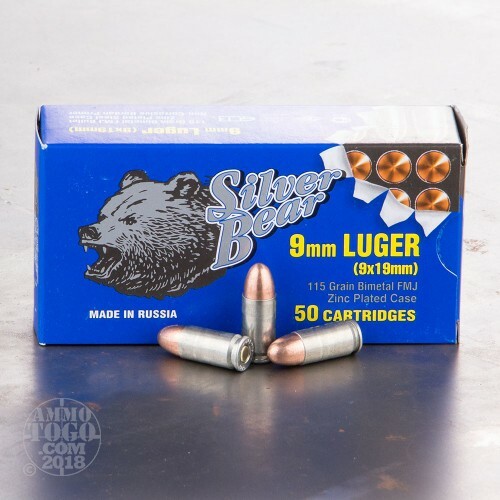 Silver Bear products come from the Barnaul Cartridge Plant in Russia, and like much Russian ammunition features a steel casing. 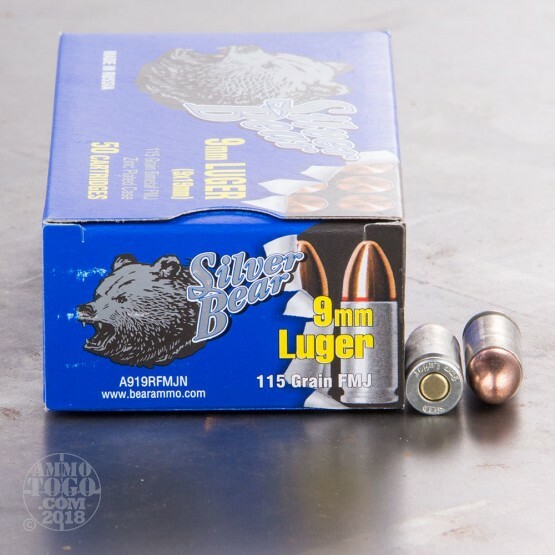 That makes this 9mm round an incredibly cost-effective solution for all day training and target shooting, although if you like to reload your spent casings you won’t get much out of this cartridge after you’ve fired it. 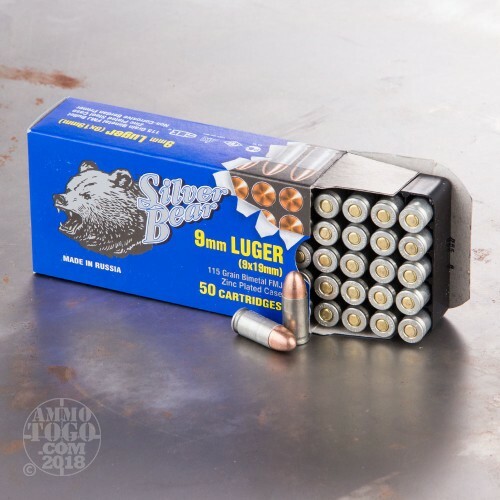 The “Silver” in Silver Bear refers to this round’s casing’s zinc plating, which enhances its lubricity without leaving behind a lacquer residue after fired. That plating helps this round to resist corrosion nicely as well. This cartridge sports a 115 grain projectile, so it will give you a good feel for your self-defense load if you favor a lighter 9mm bullet for personal protection as well. 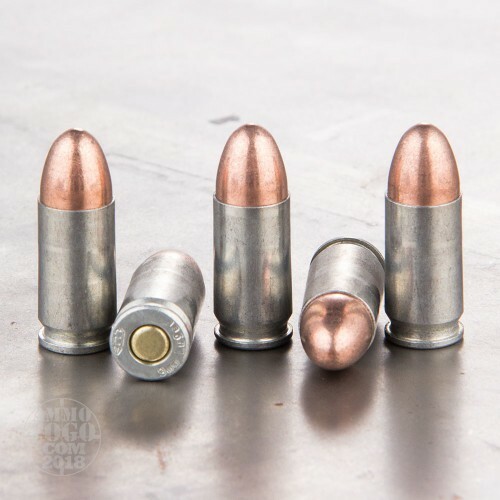 The bullet’s full metal jacket will help it to feed reliably in your semi-automatic weapon, whether it’s a pistol or an AR-15, and prevent the rapid accumulation of lead residue in your firearm’s bore as well.